Experience a new level of inspired living and enjoy an exciting array of resort-style amenities. 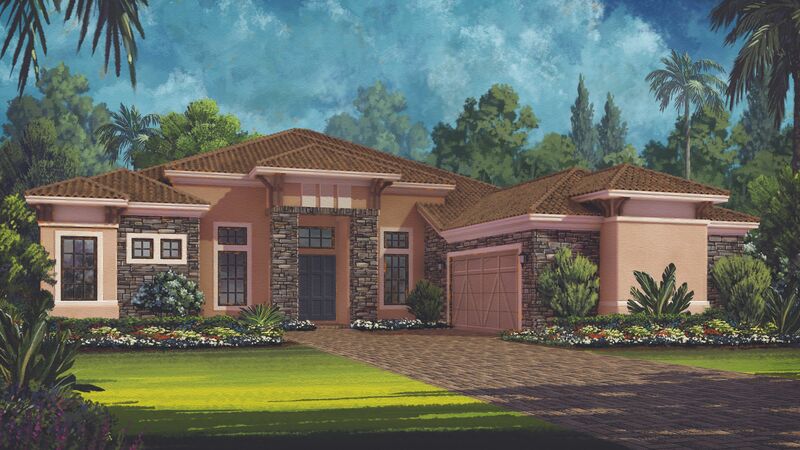 From active recreations to relaxing pursuits, Esplanade Golf & Country Club at Lakewood Ranch presents an air of sophistication and luxury like nowhere else. Beginning with entry views of lush landscaping and perfectly manicured golf links, every aspect of this resort-style community makes it clear this is a location to be coveted. Nestled on 600 acres just north of State Road 70, this gated enclave of 1250 detached villas and single family homes brings a touch of the Mediterranean to Southwest Florida with its regional-inspired architecture, lush landscaping, serene lakes, and fabulous resort-style amenities including a full-time Lifestyle Manager located on site.Discover the Esplanade Lifestyle Residents have access to on-site facilities, including two resort-style pools, resistance pool, outdoor spaces, fire pit, sports courts and more...all accessible by golf cart. Watch our community overview video here. The centerpiece of Esplanade is a beautifully appointed Amenity Center, complete with fitness and aerobics center, grand ballroom, card and craft room, catering kitchen, billiard room, and library. Miles of walking trails with gazebos crisscross the community, and there is even a formal events lawn, fitness lawn, canoe and kayak launch, fenced bark park, and adventure playground. The Wellness Center, staffed with a spa manager and nutrition and fitness consultants, offers residents luxurious Signature spa packages and treatments including massage and body treatments, skin care, manicures and pedicures, as well as wellness programs and fitness and aquatic classes.